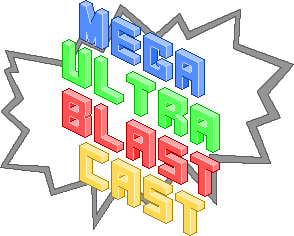 It’s a special, limited edition sort of time, because in the absence of Delaney my brother Cameron joins Shane and I on Episode 38 of the Mega Ultra Blast Cast, where we discuss the best superpower, Kinect horror stories, memories of Mario Party, loose wizard physics and a tiny bit of League of Legends. We also revisit the topic of the rise and fall and maybe-rise-again of Square Enix, why the latest Monster Hunter game may be the best one yet and the sheer ludicrousness of Starwhal. Enjoy. If you feel so inclined, go for a run, take a scenic drive, jazz up your afternoon commute or just curl up on the couch and play some games while you listen to the opinions of three mix-and-matched Sydneysiders.